They are a series of cells present in the organism with total or partial capacity of differentiation to other specific types of cellular tissues and with the property of self-renewal during long periods of time. 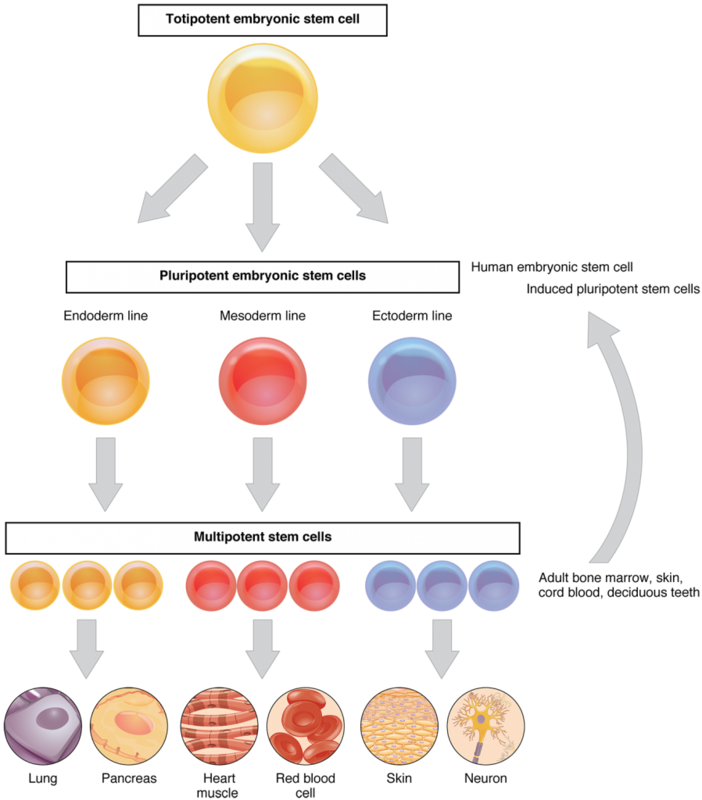 There are a multitude of stem cells depending on where they are obtained and their potentiality and ability to differentiate into other cell strains. The totipotent and pluripotent cells, although with a marked greater capacity of cellular differentiation, carry a series of disadvantages, as its teratogenic capacity and the ethical problems that would entail obtaining them. These aspects make today’s use in the daily clinic not possible. For this reason, the ones that are most interesting for clinical medicine and the only ones that are authorized for use are adult stem cells, these are those obtained from an adult human (ie adult as the age from birth) and that correspond to those that have a degree of multi-potential differentiation. Among these we have the ADSC (Adipose Derived Stem Cell), WJSC (Wharton´s™ Jelly Stem Cell), BMSC (Bone Marrow Stem Cell), ESC (Endothelial Stem Cell), DPSC (Dental Pulp Stem Cell), etc. All of them obtained more or less easily and of adult human tissue, with a high capacity of cellular differentiation. Lyposmol has developed the ADSC SYSTEM® to obtain and concentrate the stromal cells, including ADSC, contained in adipose tissue. ADSCs are those found among adipose tissue that we can find easily and largely in the human body. Although this is true, there are data suggesting that the best donor area for the extraction of adipose tissue is the periumbilical zone. 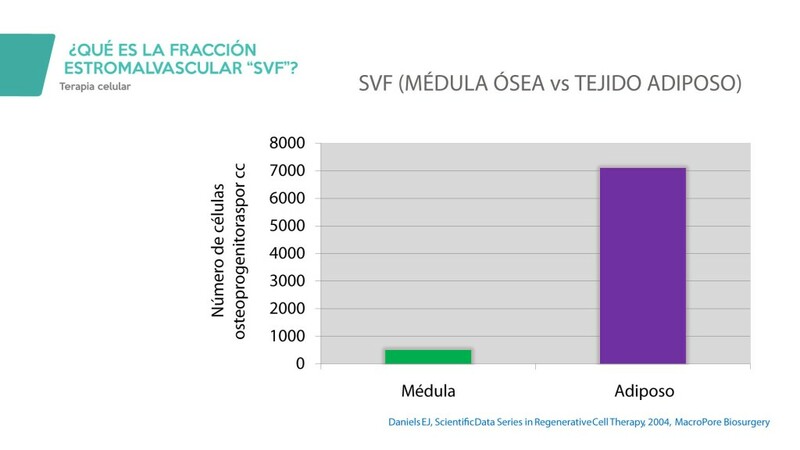 Comparison in terms of measurements between different donor areas shows a 20% higher yield for stromal cells when adipose tissue has been obtained from the trunk, compared to when it is extracted from the limbs. The most studied and used truncal cells for years have been the BMSC. These were first discovered and the marrow grade was awarded as the primary source of adult mesenchymal cells. Median transplants in patients with leukemia and / or hematopoietic diseases are examples of the use of BMSC and its curative potential. However, ADSCs are being used more and more frequently and are slowly but inevitably becoming a very valid tool in today’s medicine. Compared with BMSCs, ADSCs are easier to obtain, with less risk at the time of extraction, and it is also possible to extract larger populations of stromal cells from adipose tissue. 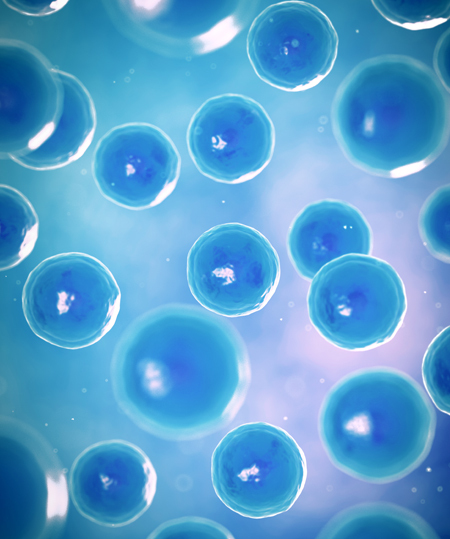 The two types of stem cells share many of their biological characteristics, however there are some differences in some of their immunophenotypic characteristics, transcriptome and proteome and their immunomodulatory actions. Some of these differences may represent specific characteristics of the BMSC and ADSC, while others are inherent indicative of the heterogeneity of both cell populations. However, it must also be borne in mind that some of the dissimilarities may occur because the protocols for obtaining, isolating and culturing are different. More importantly, despite these small differences between the two types of cell populations, ADSCs are just as effective as BMSCs. In fact, the stromal cells obtained from adipose tissue appear to be more powerful and resolute when it comes to suppressing or modulating the immune system, thus opening up a huge range of clinical possibilities.